During the Congregational Meeting on April 7, we were updated on the final report of the Call Committee and voted on the recommendation of the Incarnation Council to call a candidate for senior pastor, as identified by the Call Committee. Rev. Dr. Kai Nilsen has accepted the call after the vote passed with a vast majority. Pastor Chris Smith’s last day will be April 30 and Rev. Kai’s anticipated start date is July 1st. Raised in Morris, MN, the Lutheran faith has been central to the Nilsen family for generations. Kai’s grandfather was a religion professor at Concordia, his father is Rev. Roy Nilsen, his mother Mary holds a Master’s degree in Theology and has written many books on faith, and his brother and two sisters became pastors themselves. Kai and his wife, Patty met while in college and have four children together. 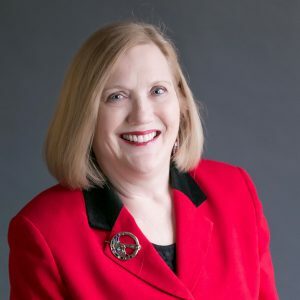 Patty is the manager of Lactation and Childbirth education for a three hospital system in Columbus, OH and delighted the Call Committee with her warm and genuine personality. 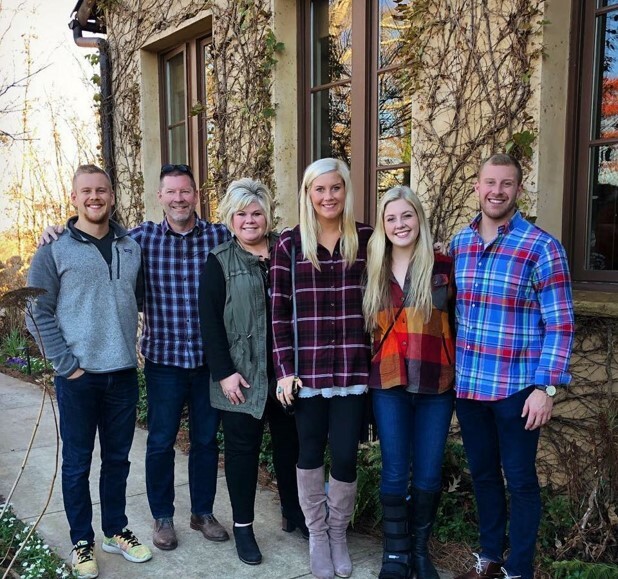 Their son Anders is in his first year of ordained ministry, daughter Annika is a third year med student, son Leif works for a private school and daughter Siri is studying music education. Kai originally graduated from Concordia College, Moorhead in 1985 with an undergrad in Psychology and then Luther Seminary in 1989 with his MDiv. He served as the associate pastor to Trinity Lutheran in Madison, WI for four years before receiving his call from Peace Lutheran in Gahanna, OH. He has served on staff at Peace Lutheran since 1993 and became their senior pastor in 2005. In 2009, Kai completed his Doctor of Ministry degree through Fuller Seminary in Pasadena, CA. Kai also holds a coaching certificate from the ELCA for mentoring seminary interns and leading staff. Kai and Patty with their children. The author of three books on faith, Kai also serves on the Ministry Team for Renovaré—an ecumenical movement focusing in spiritual formation. 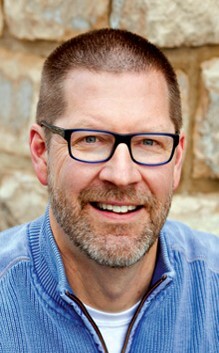 He is a teacher in the Renovaré Institute for Spiritual formation and a leader in the local ministerial association. When not working, he enjoys exercising, sharing some wine with friends and reading. Kai’s ministry has been motivated by a core conviction that God has planted in each of us the capability to love each other, to serve those in need, to hope during dark times and to experience a full life in the present moment. He has said, “The inward journey discovers who we are as a child of God. The outward journey discovers what God has called us to do. In that way, my call is no different than anyone else’s call. We are called to live the journey faithfully in our homes, workplaces, and community.” In that spirit, he helped his previous congregation implement the “It’s Monday” program to empower people to live as they do on Sundays throughout the rest of the week. He also has a heart for ministry outside of the church’s walls with a mission to co-create a more loving world. Kai has been noted for his use of stories while preaching and his ability to provide context and relevance to current and historical events. On April 25th from 6:30 – 9:00 p.m. in the Gathering Space, you are invited to introduce yourself to Rev. Kai, and potentially his son Rev. Anders, at an Ice Cream Social. This will be an open house event without a program so feel free to come and go as you wish. This will be Kai’s first trip back to Minnesota since we extended a call to him so please come and help give him a warm welcome to the Incarnation faith community. Please keep Kai, his family and the community of Peace Lutheran in your prayers as they all navigate this time of transition. We are thankful for the work of the Call Committee and the Incarnation Council and we give thanks to God for bringing forward a new senior pastor for Incarnation. For those who are interested, Rev. Kai is speaking at the Developing Spiritual Intelligence Faith Conference on Saturday, April 27 at Christ Chapel at Gustavus Adolphus College. To learn more or to purchase tickets, click here. Click here for worship times and descriptions. It is 5:00 a.m. on Easter morning and Dad comes into the bedroom to wake me and my sister and then he leaves to wake my brother. It doesn’t work, so he makes the rounds again. He does it because he believes, “As for me and my house, we will serve the Lord.” Which means sunrise service at 6:00 a.m. at St. John’s Lutheran in Park Rapids, MN. There isn’t much servanthood or holiness for the next half hour. Mom is trying to get the rag curlers out of my hair and it really hurts. My sister tries to avoid the whole scene. My brother comes out of the bedroom with jeans on. He’s told, “Get back in there and put on some pants.” Then, while Mom is trying to put on some makeup, Dad is outside revving the car engine because he thinks we’ll be late. Finally, off to church we go. You wouldn’t think so, but Easter is my favorite celebration of the church year. Not because of the early mornings and the hassle of rag curlers. Rather, it is my favorite celebration because it promises a sense of belonging, a sense of overcoming and a sense of completion. Jesus, in one moment, brought the thief into the community of believers. He belonged. So wonderfully simple. A sense of completion? Oh, yes, because of our Risen Savior, we will be made complete and live in everlasting celebration. A Prayer Service for Grief and Loss will be offered on Thursday, April 11 at 7:00 p.m. in the Incarnation Sanctuary. 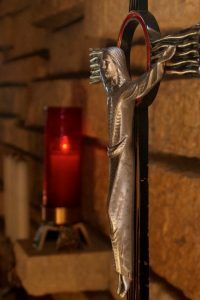 Open to everyone, this is a time for the Incarnation community to gather, along with family, friends, co-workers and those from the broader community who are experiencing loss or are supporting someone who is facing a loss. 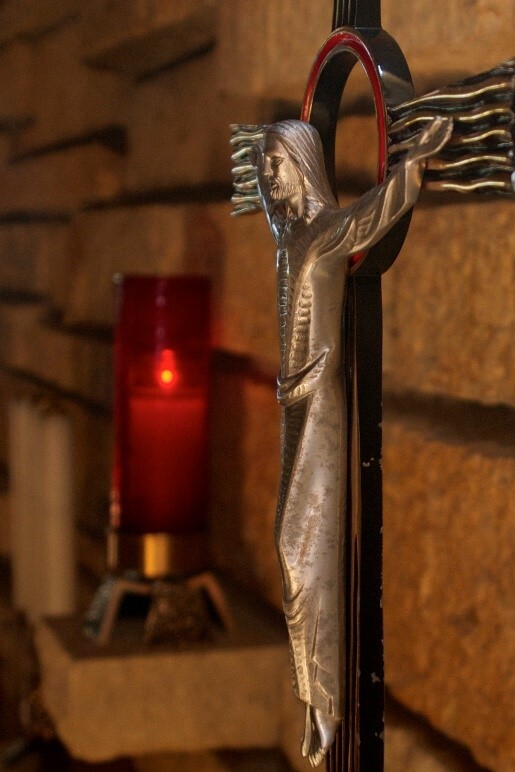 Taking place just before Holy Week, this service is a time to remember that God is with us in all times, including times of deep sadness and suffering. When we think of loss, we often think of the loss of a loved one or friend, but grief and loss come in many forms. This worship service is a time to hear words of comfort, whether the loss is recent or was years ago. Those who gather may have lost a job, relationship or beloved pet. They may be facing a change in physical or mental health or the loss of plans and dreams. If you attend or invite others, the evening will include Scripture readings, music and a short message. For those who wish, there will be an opportunity for Holy Communion, to light a candle in prayer or remembrance, and to be prayed for individually and receive a blessing. Those who attend can participate in one or more of these faith practices or simply be present to listen and pray. This service is part of a series of Prayer and Blessing Services happening in 2019, each with a different theme. In February, people from across the Incarnation community and beyond gathered for a Healing Service. The evening was a reminder of God’s desire for our wholeness and presence across all times in our lives. You can hear a portion of the worship service here. These Prayer and Blessing Services are part of the Caring Community initiative of Incarnation’s strategic plan. This initiative seeks to equip the community to walk alongside one another in difficult times. Over the next five years, it will also focus on increasing Incarnation’s capacity to offer resources and support to those facing challenges. Along with the Prayer and Blessing Services, a series of devotions (or short faith studies) is being written on care for one another to be used in groups across Incarnation in the summer. Other take-home tools and resources on the faith aspects of difficult times and practical tips for walking with one another are also being created. Also, an upcoming Prayer and Blessing Service for caregivers is also planned. Most of us at some point of most days experience hunger pangs. In the lives of the majority of us, we are usually only minutes from satisfying this hunger with a meal of some sort. But sit for a moment and let your senses connect with what it feels like when hunger goes on for a while. How it gets progressively more difficult to ignore, can be downright painful, becomes more than a little frightening, and when it goes on long enough, drains you of energy and the will to go on. Then meditate a little on what this must feel like when it goes on for days, months, and years, with no resolution in sight. You can only end up concluding how fortunate we are and how productive our lives can be when we do not have the worries of food insecurity. This is a daily reality of far too many children in the world and is the reason why Incarnation Lutheran Church is a ministry partner with Feed My Starving Children, a non-profit started and based in the Twin Cities. This organization was founded over 25 years ago by Richard Proudfit, a Minneapolis businessman who witnessed dying and starving children in Honduras on a mission trip. Proudfit was moved to do something to help, and enlisted the expertise of colleagues from Cargill and General Mills to formulate and source ingredients for a packaged meal that provides for the complete nutritional needs of a child between the ages of four to eight in one cup of prepared food. To save costs, he envisioned enlisting volunteers to help package the meals and donate money to pay for the ingredients. Our annual All Hands On Hope FMSC MobilePack™ is the outgrowth of Proudfit’s vision and the organization continues to grow and serve the hungry and save lives around the globe. The genius of the formulation is the unique nutritional makeup of the MannaPack™. Consisting of soy protein, rice, dried vegetables and a vegetable flavored powder that contains 20 different essential vitamins and minerals, these meals can and have reversed malnutrition and starvation everywhere they are served. Soy protein is the most easily digested and most culturally accepted protein source available and is easily incorporated in a dry mix for reconstitution upon cooking. Rice is a readily digested source of carbohydrate providing energy to starved bodies. Combined with the vitamin/mineral mix, MannaPack™ offers complete nutrition when cooked, even for bodies ravaged and sickened by starvation. Most amazingly, they do this for less than $.25 a meal! The next time you feel a hunger pain, please consider what you might be able to do to assuage the same in children around the world and participate in the 2019 All Hands On Hope FMSC MobilePack™Event April 29 – May 2, whether it be a financial donation towards purchasing ingredients, volunteering to work a shift with friends or family, or both. Your heart will be nourished more than you can possibly imagine. Go to allhandsonhope.com for more info. On Mother’s Day the Incarnation Quilters will have on display the quilts assembled during the past year. 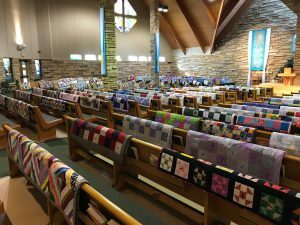 The majority of the quilts will be donated to Global Health Ministries for distribution to ELCA hospitals around the world. The baby and youth quilts will be donated to Gillette Children’s Hospital in St. Paul. 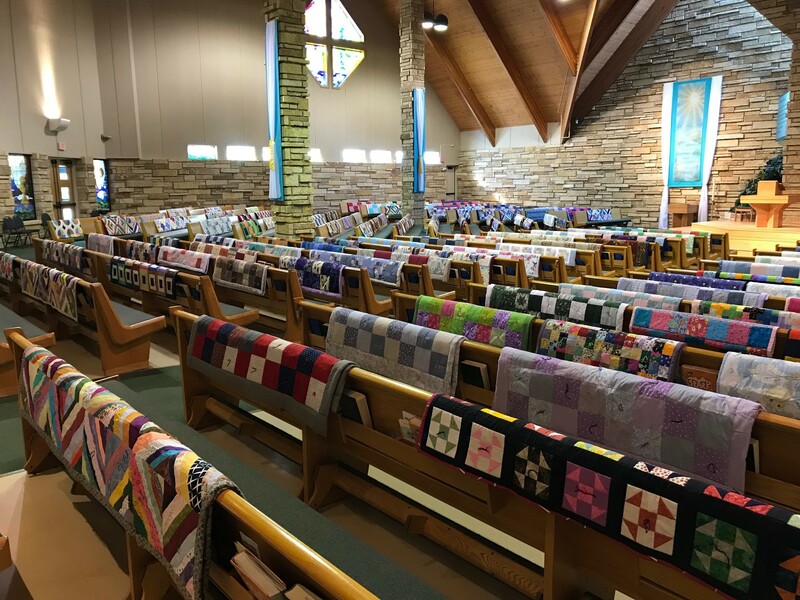 Quilts are also donated to LifeHaven, Habitat for Humanity, the Incarnation Preschool fundraiser and other church and community outreach efforts. The Quilters are grateful for donated fabric, solid colored sheets, sewing supplies and any volunteer help. If anyone is interested in purchasing a quilt displayed, a quilter will be available at the Information Center after each worship service. Money is used to buy batting for assembling and other supplies. Quilters meet year round on the second and third Thursdays of the month at 9:00 a.m. in the Fireside Room. New volunteers are welcome; come for coffee and meet new friends. Too often we turn prayer into well-intentioned patterns of our own making. Too often we assume prayer is primarily about words. Sometimes there’s an almost magical understanding that if we trust enough or believe enough, God will “answer”. But most of us know that God is not a divine magician or our own personal valet and that prayer is much more than our attempts to make God pay attention to what God already knows. 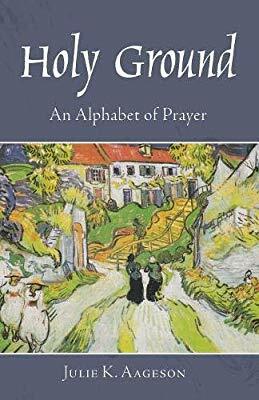 Using the alphabet of descriptive words and actions, Holy Ground: An Alphabet of Prayer invites reflection about prayer as paying Attention, looking for Beauty, showing Compassion, practicing Devotion, celebrating Enthusiasm – all the way to the end of the alphabet and discovering Wonder, X as mystery and Z as Zeal. These reflections help readers experience prayer as a place, an action, or an attitue, a stance for recignizing and acknowledging God’s presence in the midst of ordinary life–something like the sigh of the shoemaker, too busy to drop his worn shoes and kneel in disciplined prayer, but not too busy to sigh his prayer of gratitude. Prayer is so much more than words. Look for this volume on 248 in the Apostles Library. Sympathy to: the family of Dave Guenzel on his death; Sandy Nelson and family on the death of her grandmother; Lance Fellman and family on his death; Barb Bailey and family on the death of her brother; Liv Rosin and family on the death of her sister; Jocy Teske and family on the death of her mother; Heidi Wiste and family on the death of her father. Recently Baptized: Clara Christine, daughter of Katherine and Matthew Bergman; Connor James, son of Maggie and Darren Yauk; Wyatt James and Lanie May, son and daughter of Kelly and Logan Schmitt; Aubrey Lillian, daughter of Megan and Daniel Rick; Jacob Eli, son of Ayla and Scott Jurchisin; Jaxon Santos, son of Danielle and Chad Friesen. 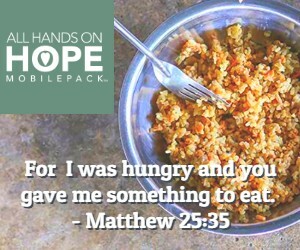 The 2019 All Hands on Hope FMSC MobilePack™ Event is nearly here and you can make your online reservations to help pack 750,000 meals April 29 – May 2 feeding 2,054 kids for one year. Please fill in the names of your group members and release any extra spots you don’t need so others may volunteer. Click here to reserve your spots! Your help is needed to raise $143k, Incarnation’s portion of the $165k necessary to pay for the food we’ll pack together during the All Hands on Hope FMSC MobilePack™. Make a donation online by clicking here or write a check to Incarnation with “FMSC” in the memo. Check to see if your company will match your donation here. This small group is a chance to engage in a Biblical text, then spend time creatively journaling with a variety of art supplies. After spending time in group conversation, each person will have the opportunity to create a personal journal based on their reflections. Suggested contribution: $15. Leaders Janet Karvonen-Montgomery and Joy Alizadeh. To register, contact Denise Floe. Thursday, April 25; 10:30 a.m. – 12:30 p.m.
Primetimers is a time of fellowship and learning for singles and couples ages 60 and older. 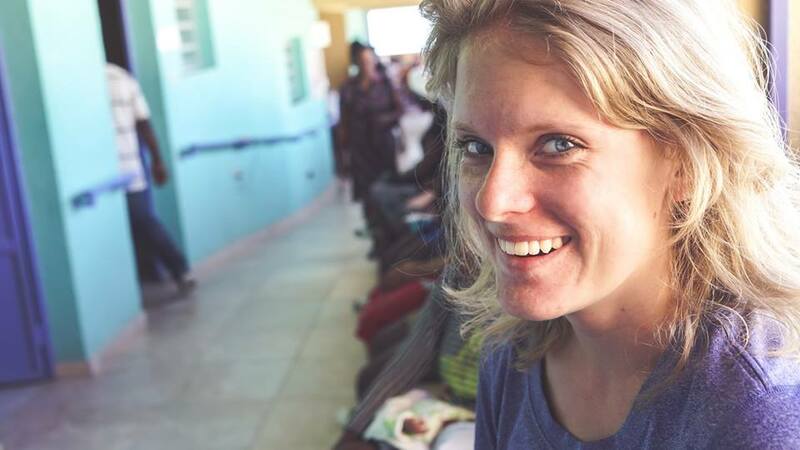 This month’s topic is “Haiti in the Media” from the perspective of Samantha Christiansen, a full-time missionary. She will be presenting on her experiences, as well as debunking some of the myths that media portrays about the country. Cost: $4, includes lunch (ham and cheese croissants, potato salad, a vegetable and dessert). Sign up in the Incarnation Office by Monday April 22. April 24, 4:30 – 6:30 p.m.
Come celebrate the end of the program year with a picnic at Incarnation! Special guest, Yo-yo Master Dazzling Dave will show us his incredible skills with a yo-yo and share a brief message about his own faith journey. Additionally, there will be 9-Square in the Air, Volleyball and other games available for families to enjoy. Don’t forget to stop by one of the registration tables to sign up for the 2019 – 2020 program year. You are invited to introduce yourself to Rev. Kai, and potentially his son Rev. Anders, at an Ice Cream Social. This will be an open house event without a program so feel free to come and go as you wish. This will be Kai’s first trip back to Minnesota since we extended a call to him so please come and help give him a warm welcome to the Incarnation faith community. Thanks to your generosity, we are able to make three additional mortgage payments this month. That’s an additional $85,620 paid to the principal of the mortgage. Thank you for your faithfulness!